Ez Reach : EZ Reach Light Switch is a product that is owned and developed by Plantation Creations, LLC. It is the brain child of both Rich Carlisle and Rob Montaño, two California natives who grew up on the beaches of sunny Southern California. Rich and Rob were both brought up with the values that family comes first and work hard for what you want. 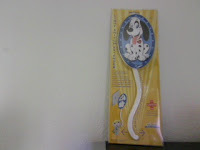 The Very First of Our friendly Characters that will bring a smile to any child's room. He is Happy and Loyal and will always be there to light the way for your child. Like the rest of our light switches, Wags fits on Both Toggle and Decor' Type wall switches, and Even Multi-Switch plates and NO NEED for special adapters. He Takes only a Minute to install with a standard screw driver. Remember one day they will reach for the stars, but first they must reach the lights, so lets put the lights at a level anyone can easily reach. 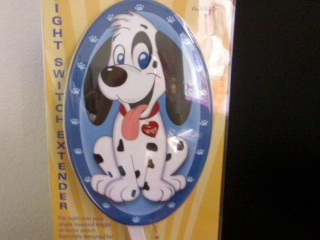 I was sent "Wags" The adorable spotted Dalmatian EZ reach light switch extender. His cute and adorable expression will win over any kid at any age! I love his little red heart collar and his black spotted eye. It would make an adorable addition to any child's room. ♥ I receive no monetary compensation for this review. 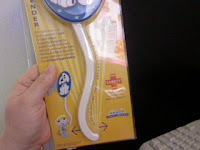 I was provided a Ez Reach Light Switch Extender to try and give my honest opinion.